In 2004 Gmail began to dominate web based email with its clean and user friendly interface and an additional 1GB of free storage. It currently now offers over ten times that amount of storage and has won the hearts of millions across the world. The majority of people now have a Gmail account, whether they use it as a personal account, as part of a business network or they were simply forced to sign up for one so that they could use Google Plus and other Google features. If you want to have a few different versions of your email address, then you can simply add a full stop anywhere you want into your email address. This means if your name is Joe Bloggs and you have been using the email address joebloggs@gmail.com, you can also receive email addresses if emails are sent to joe.bloggs@gmail.com, or even j.o.e.bloggs@gmail.com. Another way you can extend the use of your email address is by adding a plus sign after your name. Add characters after the plus sign and all emails will still come to your main inbox. This can be really useful if you want to sign up for any web services or multiple newsletter using a range of different aliases. Gmail is no longer just a simple mail service, you can now use it for many different things, including writing up a to-do list. Simply click on “Mail” in the top left hand corner, then “Tasks” and a small task bar will pop up at the bottom of your screen. You can then write in anything you need to be reminded about and what time and day it needs to be done on. This is fantastic if you know you need to email someone but don’t want to do it right that second. Simply create a to-do list using the “More” button above an email. This will then turn the email into a task and schedule it into your Google Calendar. This option can be an absolute lifesaver if you tend to let your fingers make the decisions before your brain has time to think them over. There is nothing worse than the feeling you get when you realise you have sent an email to the wrong person or sent a really important email to your boss with a spelling mistake in. To enable the undo feature, you need to select the gear icon in the top right hand corner of your screen and click on settings. Choose the labs option along the top bar and then scroll down until you see the “undo sent” option and enable it. This is another great trick that can save you a lot of time. When you work in a business, you can often find yourself repeatedly sending the same email over and over when you get asked the same question a lot. It could be that you are a restaurant and customers want to know if you are open on Christmas Day, or maybe you need to send someone all your contact details for future deliveries. You can enable the feature in Labs, just like with “undo send”, then to create your canned response you need to open a standard new email. Type the response you want to use and then select the little drop down arrow next to the bin and click “new canned response”. Name it with something appropriate like “Opening Hours” and save it. Next time you need to use it, you will find it ready in an email draft from the drop down menu. Gmail has a star system as you may have already seen, you can use them to “star” important emails so you know which ones you need to come back to later on. Usually the star is yellow, but actually, you can choose to add a selection of stars to mean different things. Under settings, choose “stars” and choose a range of different coloured stars for 1*, 2* etc. To give each email a different star, you just click once for one colour, then click again for another and so on. This way you can use a selection of different coloured stars to mark your emails, making them easier to find when you need to at a later date. 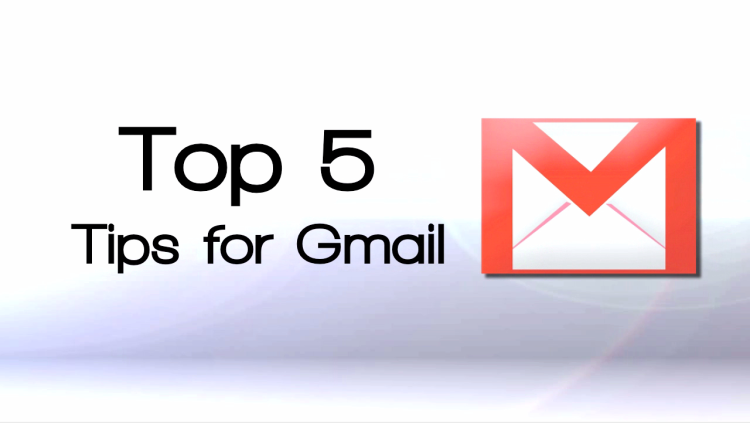 There are lots of different tips and tricks on Gmail and quite a few hidden features you may not necessarily stumble across. Some of them can really help you save time and become more efficient and some may just help you out of a sticky situation or two, if I have missed off any tips that you think should be on this list then just let me know in the comments below.